dConstruct 2012, held every first weekend in September in Brighton, had their 8th conference this year. It is presented by Clearleft, a user experience design consultancy based in Brighton, UK. This year was my first year to attend this conference. The theme of this year was ‘Playing with the Future’. There were two workshops available to attend on Wednesday, 5 September 2012 and two Thursday, 6 September 2012. 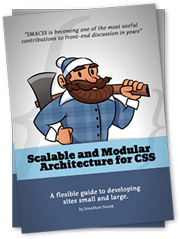 I attended Jonathan Snook’s workshop, Scalable and Modular Architecture for CSS, in short SMACSS (pronounced “smacks”). Jonathan came up with this new term and approach from his experience working with the team at Yahoo! Mail. By dividing your CSS into 5 sections: Base, Layout, Module, State and Theme you can write CSS in re-usable chunks of code. Also keeping in mind using classes for layout rather than ids will illuminate having to overwrite loads of CSS. Applying these approaches in the right way will result in smaller CSS file/s. He also motivate using child selectors and preprosessors. He prefers to rather add the class of the reusable CSS to an element in the HTML, than selecting HTML elements in a CSS file. There was also a talk about prototyping tools that can help with rapid development, especially on big projects. Besides the free new SMACSS book, I definitely took a new approach to CSS with me. Sunset from Terraces, Brighton (before party). Photo taken by me. dConstruct 2012 is a gathering of smart and entertaining people poking at the intersection of technology and culture. The conference being moulded over the years to topics covering web technologies, design, culture and society, the theme ‘Playing with the Future’ just did that. With a collection of excellent speakers it is hard for me to say which one stood out. Ben Hammersley started off the day with his talk The Flower, the Field, and the Stack. With all the beautiful things in the world and how the community in the world have taken code that was not too good looking twenty years ago and made it into something beautiful. In every layer we work in, from fiber optic cables, to binary, to unicode, to XML, HTML and CSS, to grids and design patterns… all of these thing in every level, we can find a beauty and elegance that has been hard fought for. Jenn Lukas‘s vibrant talk, Cure for the Common Code, was about breaking down the barriers of web publishing by embracing the rise of code education. She teaches HTML and CSS for GirlDevelopIt. It was an inspirational talk of how we all would like to learn something new, but just need that little extra push on the backside. With GirlDevelopIt, she helped create an opportunity, for that push, for woman that would like to learn code. Scott Jenson has always been evolved in mobile, realising how it is unlocking important things. His talk Beyond Mobile: Making Sense of a Post-PC World start off with a question, if we take new technology and explore it or do we turn around and apply it to what we did yesterday? He became aware of 3 trends. The first one he calls App Glut. Users become the bottle neck and managing the apps being made. The second trend – value must be bigger than pain and the equality that can be between value and pain. The third trend – smart devices tend to be on the simple side. It has applications that offload a significant amount functionality. Moving forward, how can these trends be applied to make apps that can work across all of our devices. With Ariel Waldman‘s talk, The Hacker’s Guide to the Galaxy, I could feel her absolute passion and enthusiasm for science. Her talk was an interesting tour of our universe. From black holes and dark matter to exoplanets and the search for extraterrestrial intelligence. She was showing examples of peoples creations that can get anyone excited to start making things. Seb Lee-Delisle (laterally) lighten up the dome after lunch with his talk Pixels, Play and People. He brings people together with technology. Everyone received a glowstick at the beginning of the talk. 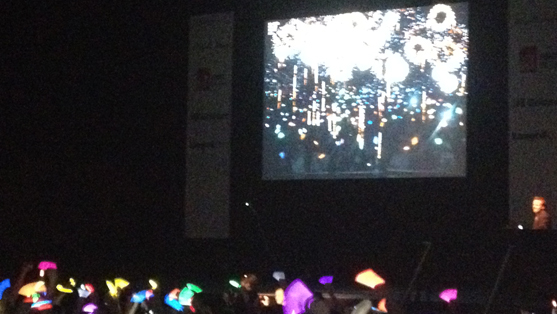 The highlight of his talk was using a motion camera and everyone was able to make digital fireworks! By using the motion camera he also divided the crowd in a left side and right side to play a form of Astroids together! Tom Armitage is a game designer at Hide & Seek. His work is inspired by the toys his dad made out of wood when he was a kid. He sees all his work as toys and decided to have a talk titled, Making Friends: On Toys and Toymaking. He has had quite a bit of fun with Twitter too. For example, he was auto generating descriptions of chocolate from chocolate boxes. He also created a Twitter account for Towerbrige, by taking the times of when the bridge opens and linking it to the internet via Twitter. It has become useful to cab drivers too. James Burke, a science historian, an author and television presenter ended of the day with his speech titled, Admiral Shovel and the Toilet Roll. He looks at the past (there is no where else to look…), because the future don’t exist and the future is the past, just with a few extra bits attached… Through the whole talk, an interesting point that stood out was his view on Nano Technology. What Nano Technology is going to do socially and when. He points out there is a possibility, in 40 years that everyone would be able to have their own Nano factory your own shed/garage. And also talking about the possibilities of this and the effect this could have on the world. 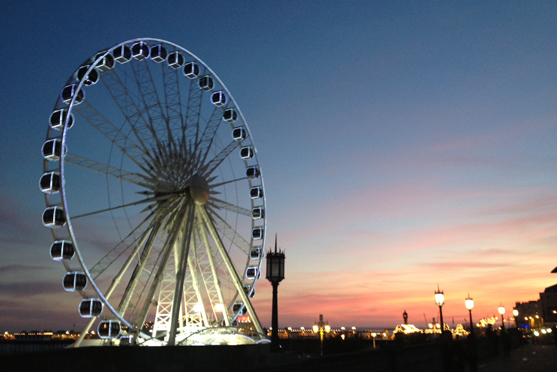 Missed out on #dConstruct 2012 Conference? Be sure to catch up at huffduffer.com.